Feb. 15: The Marlins have formally announced the signing. To make room on the 40-man roster, young right-hander Julian Fernandez, who is recovering from Tommy John surgery, was placed on the 60-day injured list. Feb. 12: The Marlins are in agreement on a one-year contract with veteran reliever Sergio Romo, pending a physical, reports Jesse Sanchez of MLB.com (via Twitter). Romo will be guaranteed $2.5MM and can earn additional money on top of that via incentives. Talks between Miami and the veteran righty were reported by Ken Rosenthal of The Athletic and Jon Heyman of MLB Network earlier this afternoon. Romo is represented by Meister Sports. Set to turn 36 early next month, Romo will give the Marlins a veteran anchor to pair with younger less-experienced arms such as Drew Steckenrider, Adam Conley and Tayron Guerrero late in games. 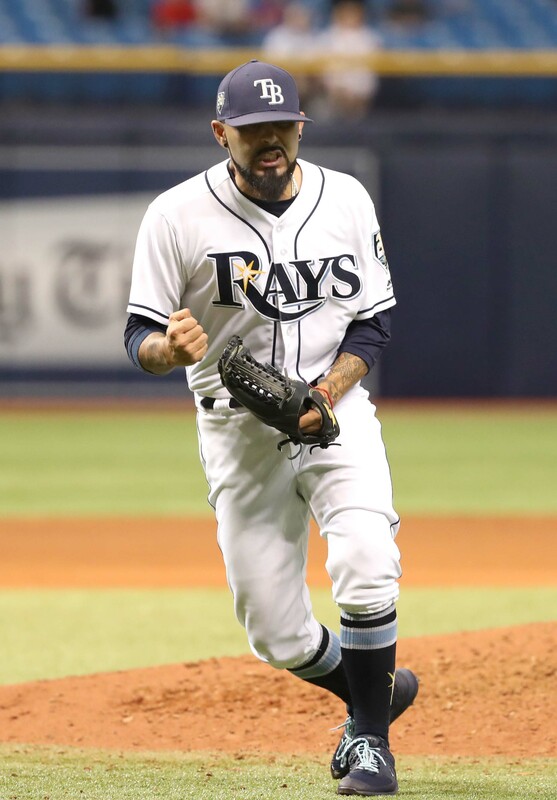 While he helped the Rays to pioneer the “opener” strategy last season, Romo’s best work with Tampa Bay came in his more familiar role as a reliever and closer. When pitching out of the ’pen for the Rays, Romo turned in a solid 3.88 ERA with 9.8 K/9, 2.3 BB/9 and a 34.3 percent ground-ball rate. Home runs were somewhat of an issue for Romo, an extreme fly-ball pitcher, as he served them up at an average of 1.47 per nine innings pitched. 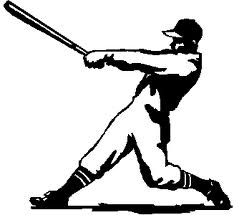 However, he also maintained a 13 percent swinging-strike rate and generated a swing on a third of the out-of-zone pitches he threw to opponents — both strong marks that create some optimism about his ability to continue missing bats. A move to the National League — specifically to the cavernous Marlins Park — should help to curtail some of the troubles he had with the long ball last year. While the Marlins could yet leave the ninth inning open for competition between Romo, Steckenrider and Guerrero in camp, it’s fair to call the veteran Romo the favorite to close games in Miami. He tallied 25 saves for Tampa Bay a year ago and has compiled 109 saves across an 11-year Major League career. If he can once again thrive in a ninth-inning capacity for the Marlins, his tenure with the organization could prove to be a short one. While Romo’s market was oddly tepid in free agency — the Twins and Rangers were reportedly willing to offer him a minor league deal, while the Blue Jays were interested at the MLB level — the demand for affordable bullpen help is always at its greatest leading up to the non-waiver trade deadline. Given that the Marlins are the clear cellar dwellers in a stacked NL East division, Miami seems likely to make Romo available to other clubs in need of relievers this summer. Teams trying to give him a minor league deal is amazing to me. He was very effective last year. Romo is example that good character and good attitude still factor for pay and contracts. He’ll be DFA’d by the all star break. Last year was an aberration. And yet the best pitch he has ever thrown was a fastball right down the middle of the plate. Lol while I know they are by no means perfect indicators of performance, last year he had the worst WHIP and ERA of his career. The hate on sergio is strange and misplaced, largely based on two bad innings in a post season a few years ago (after he was excellent on 3 WS winning teams). Our new franchise player will be Sixto Sanchez. The new ownership will not do that unless absolutely necessary. In the sense of baseball trades, if there are younger players waiting in the wings, it makes sense to flip guys at the peak of their value to restock the system to continue stockpiling assets to keep your organization successful long term. Tbh, is that not smart strategy for small market teams? Why spend 35 million on Clayton Kershaw (a choker in the playoffs) when you can stockpile pitching assets that make 1 million annually for three years? That would give you better value? As baseball fans looking in, we can say and feel what we want but these baseball executives are there for a reason. The new owners, really? They’ve continued the same fire sale tactics as the previous owners. It’s almost as if they’re trying to wipe the slate clean and start fresh. Weird. A fire sale right after a fire. Sixto should be exciting eventually, but i believe Sandy Alcantara can be pretty solid as well. Id like to see some zac gallen, if there’s ever a spot for him. Great job by the Marlins. I’m surprised he didn’t sign with a contending team for just 2.5 mil. Damn Jeter made 2 good moves in 1 day. Posada and Romo. Wow $2.5 million for a soon to be 38 year old who last year as a part-time closer had an ERA of over 4. What a sellers’ market it must be for veteran relievers. Please offer the Dodgers a couple of prospects and hopefully Pedro Baez can join Romo in the same bullpen. Young player with two pitches strong, no more dream of start job, go for bullpen, more long term money available? Or aging tweener starter, go for gusto on bullpen move. Learn and follow trend of game. Get that 10 year play years under belt for great pension. Pedro Baez is a good 6/7 guy but they been using him as a setup man. He turns 36 in March. Unless 2 years from now is soon to be. He may start 50 games this year! Red Sox couldn’t have signed him? Don’t they need bullpen help? Romo has always been a reliever. I guess you question whether he’d be helpful. Yes, I question his ability to be helpful. He fits with the Marlins because that team is irrelevant, though. He should’ve signed with Boston or NYY, then it would’ve been a good deal. Stupid Marlins. Why can’t they just disappear??!! I’d definitley call a pitcher who had a 3.13 ERA and opponent .653 OPS from June onward ‘bullpen help’. Romo is there to keep some saves off of young players resume, saving future arb dollars. we’re gonna win twins?.. we’re gonna score… yes they will score.. home runs sell tickets.. It amazing they twins have ZERO contracts going past this year .. i wonder what we built them a stadium for? Twins are still pursuing another DH/1b bat. No sense in addressing our pitching staff. Just more dh/1b rehabs. Twins have several good pitching options on the doorstep. They should dive into the FA market next year to finish reloading their roster. They should be an exciting team in a year or so. 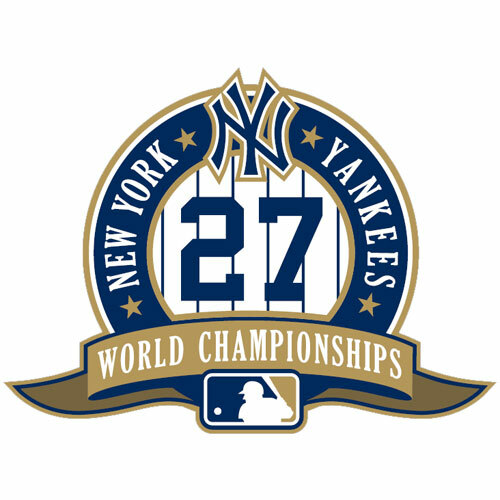 wait til next year is the cry of the losers; the twin FO has now changed its tune again saying it will spend only when the window is wide open that they want to be projected as the division winners and then the will step on the throats of the competition.. tuff talk and empty words: there is zero guarantee in baseball . They will never achieve the status of a sure thing; lest they not look up from the financial sheets and see that the White Sox are fast opening their window and detroit isn’t going to wait for ever..
does it rain everyday in your world? I am a realist: being a Twins fan since the 1960’s.. The fact is thew twins came hat in had to the public pleading for money to build a stadium promising that the money would be used to keep its stars and spend on building the team.. This is the 10th years of that stadium.. and they have lied to the community the whole time..
Love the signing. Would not be surprised if he ends up being the closer and then gets flipped for a prospect or international money at the deadline. Can’t see this as a BAD signing at all. The slider is still a killer; he’s easily flip-able, especially at that salary. And let’s face it, Romo’s super-kewl; good guy to have around, especially for a young team where 70 wins would be a miracle. You can never know these things for sure, but younger pitchers seem to gravitate around Romo. Of course, could mean he’s the dealer……. WTF are you basing any of this on? Of course, the fact that you actually typed “super-kewl” says enough. …poor attempt at humor…..and there ain’t nothin’ wrong with being super-kewl….I happen to be super kewl…..
Go easy Bobby, … for his handle, he uses a zodiac sign. Might put a cat-bone hex on ya. Thanks. No problem tho. I have a cabinet full of eye of newt. And I did once date a young lady who looked like a member of the Adames Family…imagine Uncle Fester as a female…..
Good signing. I guess the BlueJays didn’t want to pay him. The Blue Jays are loaded in their bullpen anyways. They don’t need talent or veteran leadership with rings. Sarcasm heavy. Maybe that 7 run bottom of the 9th blowup against the Jays had something to do with it? Good value signing. If he pitches well he’ll get flipped for a lotto ticket or two type player. If he is decent, then $2.5m is worth it. If he pitches poorly…who cares bc the Marlins aren’t going to be competitive this year. I’m somewhat surprised some of the weaker BP teams trying to compete didn’t take a flyer on him. Hell…I’d prefer him as the 6th-7th guy in the Mets’ BP because you can never have enough good arms. They will likely already have a top 10 BP, but they lack depth in both SP and RP., so finding another 40-60 innings would have been nice. As a Rays fan hard not to like him. I’ll miss watching him totally frustrate hitters with his 75 mph slop. For every blowup….they’ll be several decent appearances. Marlins could try him at 3B like the Rays did a few times last year. Really get their money’s worth. They put him at 3rd once last season, for one out, as part of a Waxahatchee swap. Start the year wearing a miami jersey, end the year wearing???? ?…….